Lineage. Constituted 333rd Fighter Squadron on 18 Aug 1942. Activated on 23 Aug 1942. Inactivated on 12 Jan 1946. Redesignated 131st Fighter Squadron, and allotted to Massachusetts ANG, on 24 May 1946. Extended federal recognition on 24 Feb 1947. 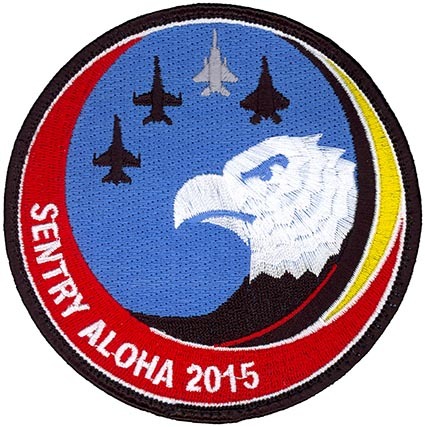 Redesignated: 131st Fighter-Interceptor Squadron in Nov 1951. 131st Tactical Fighter Squadron 10 Nov 1958; 131st Fighter Squadron, 1 June 1992-. Assignments. 18th Fighter Group, 23 Aug 1942; 318th Fighter Group, 11 Jan 1943-12 Jan 1946; 104th Tactical Fighter Group, 15 Oct 1962; 104th Fighter Group, 15 Mar 1992; 104th Fighter Wing, Oct 1995-. Stations. Bellows Field, TH, 23 Aug 1942; Canton, 11 Sep 1942; Hilo, TH, 6 Apr 1943; Bellows Field, TH, 28 Jul 1943; Saipan, 6 Jul 1944; Ie Shima, 30 Apr 1945; Okinawa, Nov-Dec 1945; Fort Lewis, WA, 11-12 Jan 1946. Barnes Field, MA, 24 Feb 1947-. (operated from Phalsbourg AB, France, Nov 1961-21 August 1962). Aircraft. P-39, 1942-1944; P-47, 1944-1945; P-38, 1944-1945. F-47D, 1947-1951; F-51H, 1951-1954; F-94A/B, 1954-1957; F-94C, 1957-1958; F-86H, 1958-1964; F-84F, 1964-1971; F-100D/F, 1971-1979; A-10A, 1979-2007; F-15C, 2007-. Operations. Patrols over the Pacific, Sep 1942-Jul 1943. Replacement training, Jul 1943-Jun 1944. Combat in Western Pacific, 20 Jul 1944-14 Aug 1945. Air defense of eastern US, 1951-1958. Called to active duty as part of the Berlin Crisis call-up, 1961-1962. Participated in Operations: Desert Storm, Restore Hope, Deny Flight, Deliberate Force, Allied Force, Noble Anvil, Noble Eagle, Enduring Freedom, and Iraqi Freedom. Campaigns. Air offensive, Japan; Eastern Ryukyus; China Offensive; Air Combat, Asiatic-Pacific Theater; Antisubmarine, Asiatic-Pacific Theater.